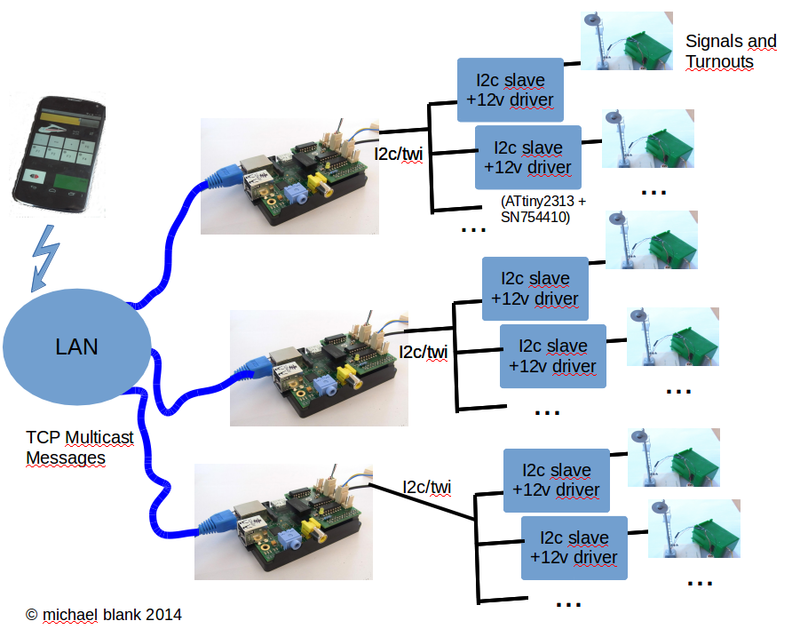 The hardware can be based on Raspberry Pi’s, with H-bridges drivers attached via i2c slaves. The whole setup can be controlled via a smartphone or tablet (or other). Other hardware design could be based on Arduinos or on Tinkerforge devices.